I met Lou through a doc mate at Sunset Marina and never looked back. I lost my husband in 2010 and there was no one with knowledge re: mechanical issues. Lou stepped up big! He never hesitated to get his hands dirty with anything I needed. I have owned many business’s in my life and have never done business with a Contractor, Broker, Banker etc. who was as willing and able to help as Lou. He was kind and empathetic when I needed it and strong and honest with me when that was appropriate. 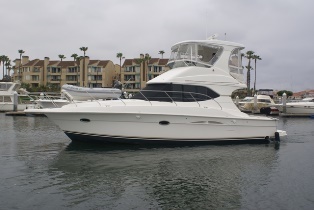 I would recommend Lou to anyone looking to buy or sell a boat of any size. Be assured you will feel like you are his only client.